Mr. Romance and I have been trying to do something different each weekend. We try to do something that gets us outside; maybe we go somewhere we've never visited, go on a hike or do something we have not done for a while. 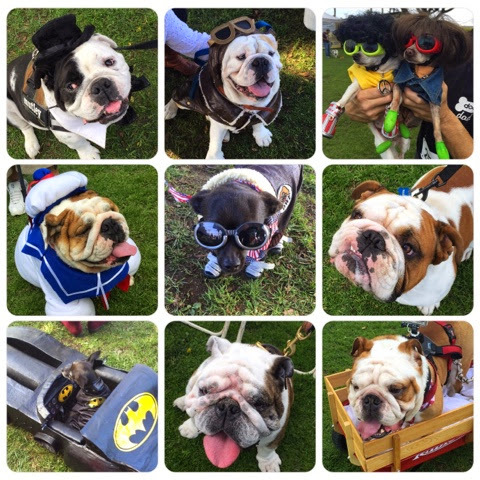 This weekend we went to the Bulldog Beauty Contest in Long Beach, CA. Now that is definitely something we have never done before! Our son's bulldog, Butterball, was not competing, but a lot of her friends from her LA Bulldog Meet Up group were, so we went in support of them. I have to admit that Butterball did look quite fetching in her dinosaur costume. There were other dogs and other competitions, too. One of the competitions was for best costume. 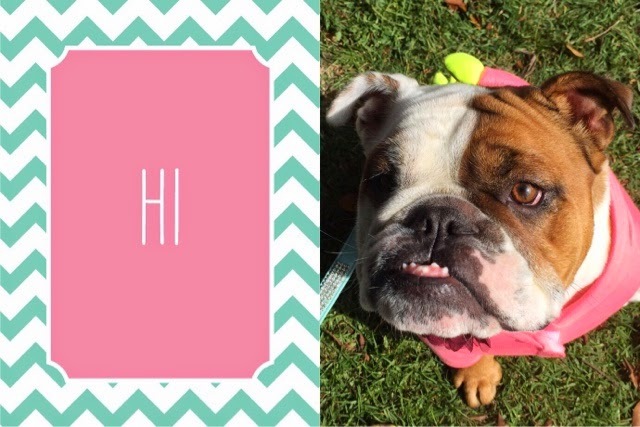 Check out some of these cute dogs. Some of their owners were very creative. The Batman in his bat mobile and those dogs with wigs and goggles, were certainly entertaining. The winner was a bulldog set up in a sweethearts kissing booth, but I was not able to get a photo or a kiss. There was also a contest for the oldest dog. The winner was a 23 year old toy, but it had a costume on so we are not sure of its breed. Next year, we will take our Toy Fox Terrier, who will be 15 years old this year. She would have won second place today, as the second runner up was a mere 10-1/2 years old! 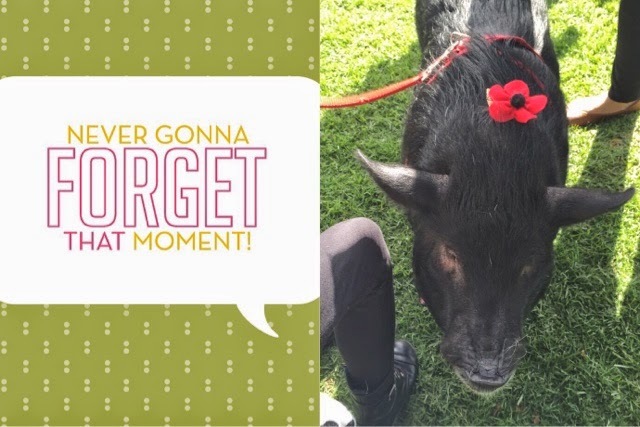 I have to admit one of the funniest pets we saw today was this pig. She sleeps in the bed with her owner. So if you are ever looking for something different to do, check out a dog beauty contest. It was a fun morning. Oh all those sweet faces!!! Wish I would left him home alone grumbling away! Those dogs made me laugh. Lots of amazing costumes!! Oh no not the bed with a pig!!! The dogs are so cute. Loving all the blocks, and feeling a bit guilty I haven't started Di's yet! I have two favourite virtual dogs I have never met. One is Buster who lives in New York and the other is his West coast friend Butterball. The beauty contest looks fun and I admire your idea to do something different and what's more, actually do it! What a strange contest ... very funny !. I applaud your efforts to get out of the house every weekend (we try for that too) but we never approximate this kind of fun! Great write-up and fun to see all the different outfits. It's like what I used to do with my dolls. . . only now they do it with dogs.